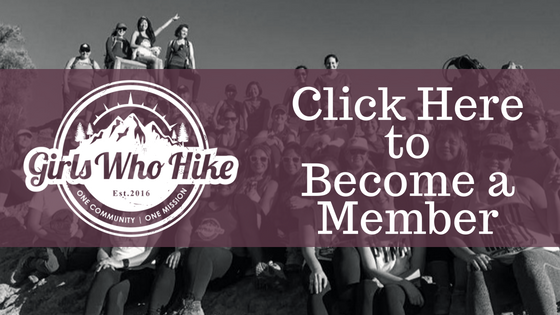 This Hike is led by GWH Ambassador Jen P! Depending on number of particpants, we may meet at Gilford Elementary School and carpool to the trailhead as parking is limited. Start up orange trail to summit Gunstock, then take Belknap Range Trail to summit Belknap and Piper. Red trail down to Piper back to trailhead. This event is led by GWH-NH Ambassador Laura B! Trail Rating: This is a black rating hike on the GWH scale – It is over 15 miles. 2900 elevation gain.Experienced hikers only! ALL Hikers must have adequate water, food, head lamp, layers of clothing, rain gear, compass, map, and other essential hiking gear. Time: 7:00 AM -7:00 PM. We will meet at 6:45 AM Sharp for introductions. Location/Parking: Lincoln Woods off of the Kancamangus High Way (Rt 112) . Off of 1-93 North take exit 32, take a left, go 5.6 miles to trail head. Trail head has restrooms and a $5 parking fee. If you are attending you MUST RSVP to the event FB page no later than 24 hours prior to the hike. Trail Rating: This is a black rating hike on the GWH scale – It is over 10 miles with 3250 elevation gain. Experienced hikers only! Mt. Carrigain from Signal Ridge Trail from Sawyer River Road. Distance 10 miles BUT road is closed adding 4 miles to hike. 14 Miles. The pace for the group is book time. Book Time 6.5 hours plus road walk so approx: 8 hours. Time: 7:00AM -4:00 PM. We will meet at 6:45 AM Sharp for introductions. Location/Parking: Signal Ridge Trail begins at Sawyer River Road 2.0 miles from US 302, 3.7 miles from the center of Bartlett Village and north of a bridge over Sawyer River. Here it is ladies, the 4000 footer hike! To those who haven't hiked in the Whites before: I would LOVE to be there for your first 4000 footer! I highly recommend doing some training hikes before then to make sure you're ready for the distance, this hike is strenuous regardless of speed, and I would like all of us to get to the summit together! To complete this hike, I highly recommend bringing electrolytes, snacks, at least 2 L of water, warmth layers, and your 10 essentials. While we do plan on hiking very slow, please be sure you are capable of the distance and elevation gain. We’ll be hiking as a group, and nobody will be left behind or forgotten. Trail Rating: RED: Strenuous hike,possible,elevation gain of 2,500+, Experienced hikers welcome, semi-experienced welcome if they plan on training beforehand and have some hiking under their belt this year. The pace for the group will be book time. Time: 8:00 AM -2:00 PM. We will meet at 7:45 AM Sharp for introductions. Location/Parking: Directions to trailhead: Take Route 112 West to Route 118 south/west. Ravine Road will be on the right shortly after the height of land. Go down this dirt road and bear right. Limited parking available on the side of the road. Walk straight ahead past the kiosk, then take the first left, go left again, then go right across the bridge. The Gorge Brook Trail starts on the left thereafter. Trail Rating: YELLOW: Moderate hike, elevation gain of between 1,000 and 2,000 feet, low altitude. Novice Hikers Welcome! Time: 9:00 AM -12:00 PM. We will meet at 8:45 AM Sharp for introductions. Location/Parking: Meet at Trailhead Parking. Directions to trailhead: Take Route 112 West from Conway. Shortly after passing Bear Notch Road and then entrance to the UNH and Downes Brook Trails, there will be a gated logging road on the left. There is room for a few vehicles to park along Route 112 without blocking the logging road entrance. Trail Rating: RED: Strenuous hike,possible unmarked trail, elevation gain of 2,500+, experienced welcome if they plan on training beforehand and have some hiking under their belt this year. The pace for the group will be book time. Time: 9:00 AM -4:00 PM. We will meet at 8:45 AM Sharp for introductions. Location/Parking: The parking lot for this hike is located on Gale River Loop Road off Route 3 in Bethlehem, New Hampshire. This Hike is a multi-state Girls Who Hike event led by GWHMA Ambassador Kelsey Kushlan and GWHNH Ambassadors Haley Kato Heinrich and Victoria Weigold! Trail Rating: This is a black hike on the GWH scale – It is over 8 miles and has elevation gain of over 3,800 feet. Experienced hikers only! This hike is open to experienced hikers only! Due to the length of the hike, it is likely that we will split into 2 or more groups based on pacing. You can also meet up with us at the trailhead and then hike at your own pace if you would prefer. Ideally we would all still meet at one one or more of the summits for a group photo or relaxing hang out but we will determine that at the trailhead prior to starting the hike. You have a few several weeks to train up for this hike but if you are at all concerned about your ability to complete this hike, I would recommend an alternative hike such as Mount Willard (https://www.alltrails.com/trail/us/new-hampshire/mount-willard). Any updates will be posted on the event thread via the pinned post, and we will update the event description if anything changes!